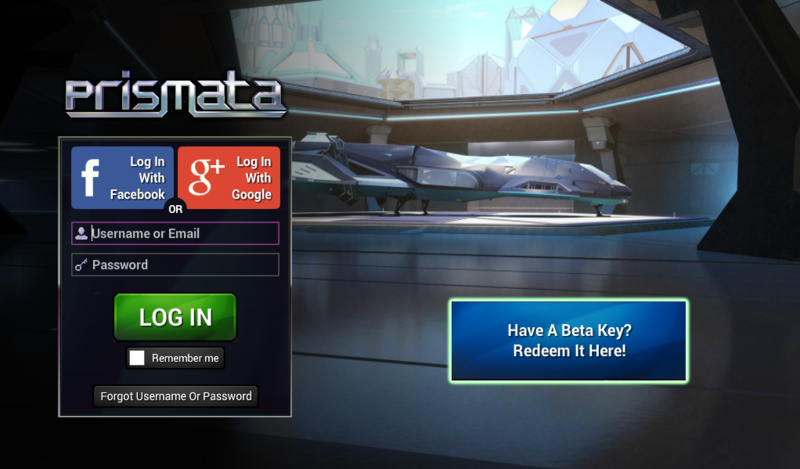 One of the biggest things we’re continually working on in Prismata is the look of the game. We’re very aware of the fact that that Prismata’s current menus make the game look like it’s from 1998. The mediocre user interface (UI) was meant to be a placeholder until we got our fancy new graphics added. And ladies and gents, a major update is coming! Our devs have been hard at work creating a new UI, and it’s almost ready to be launched. The purpose of today’s post is to share a sneak preview of what it’ll look like when it goes live. Sit back, and prepare to be amazed! (Or at the very least, maybe slightly impressed). Note that, as usual, everything you see here is a work in progress, and further changes are likely. Exhibit A: the login panel. New, improved, and sleek. It’s everything we’re looking for in a login, and we couldn’t be happier with it.